So I am going to be doing some catch up on these Sketchbox Unboxings. The main reason that I have fallen behind is that we recently bought a house and we had a month of searching, a month of packing and a month of moving in and unpacking. Now I am trying my best to catch up on all these boxes. So here we are on November’s Box. So, what do you get in this months box? Sometimes you get more than $40 and other times you may get just under. In this months box, we received more than $40 worth of product. This month is all about watercolor. Well, let’s take a look below! 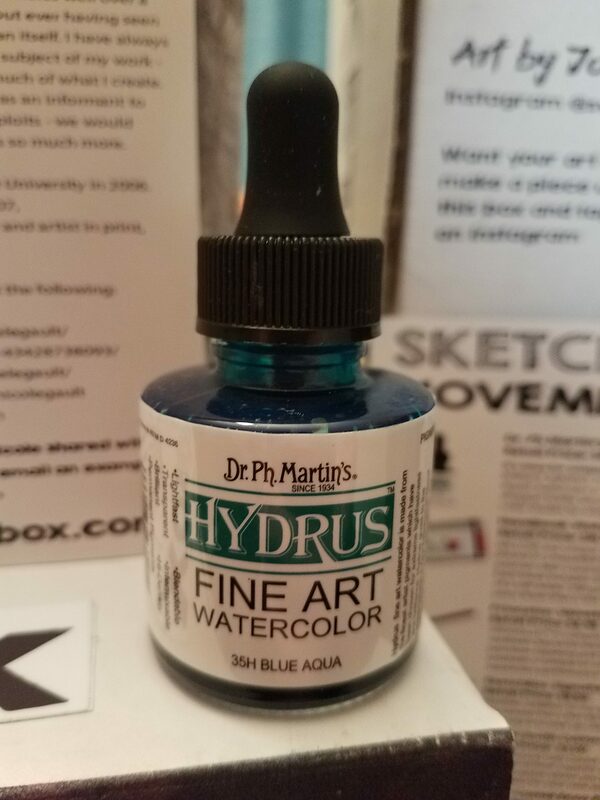 Brilliant, lisghtfast, non-toxic, archival and AP approved liquid watercolor in a 1oz dropper bottle. The dropper bottle allows for repeatedly mixing exact color shades by mixing the same number of drops. We LOVE the unique size and portability of this item. Bound in a beautiful linen book cloth cover, these journals offer a practical option for travel painting. Each book includes 30 sheets (60 pages) of a soft white, 200 gsm acid-free paper with a cold press finish that is the same on each side of the sheet. Velvetouch is comprised of a multiple-filament, luxury synthetic blend for excellent color-holding capacity, precision tapering and resilient spring. The blend of synthetic is unique to each individual shape to ensure maximum performance. 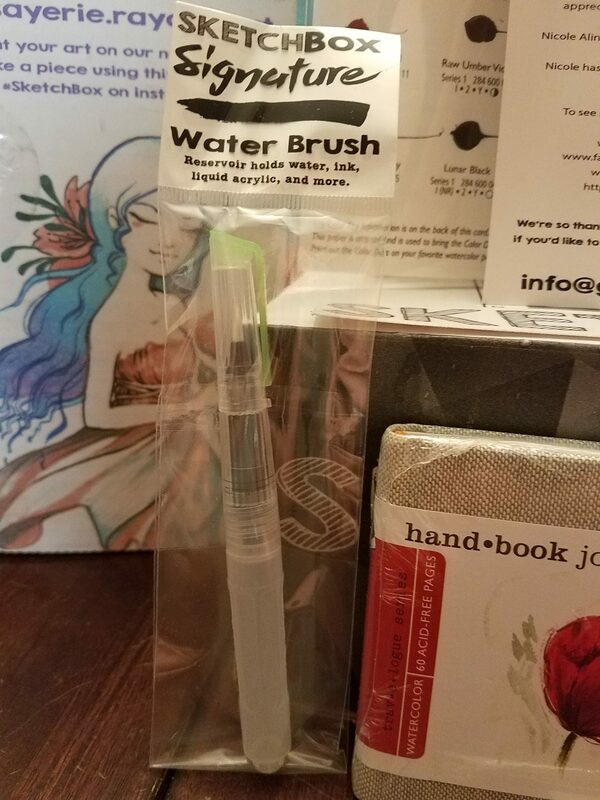 Another addition to our growing line of water brushes, this version has a fine tip for detail work and precise lines. Use it to pick up color from our custom dot card. 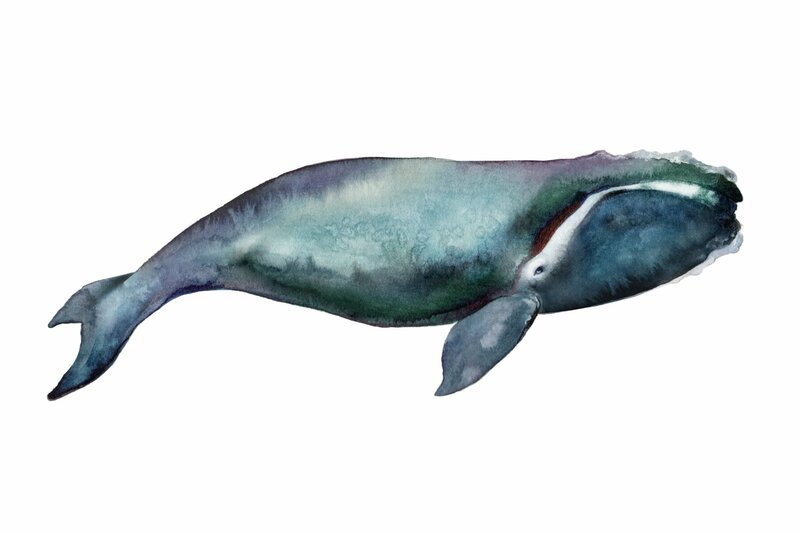 We partnered with Daniel Smith to bring you our own selection of their superior quality watercolors. 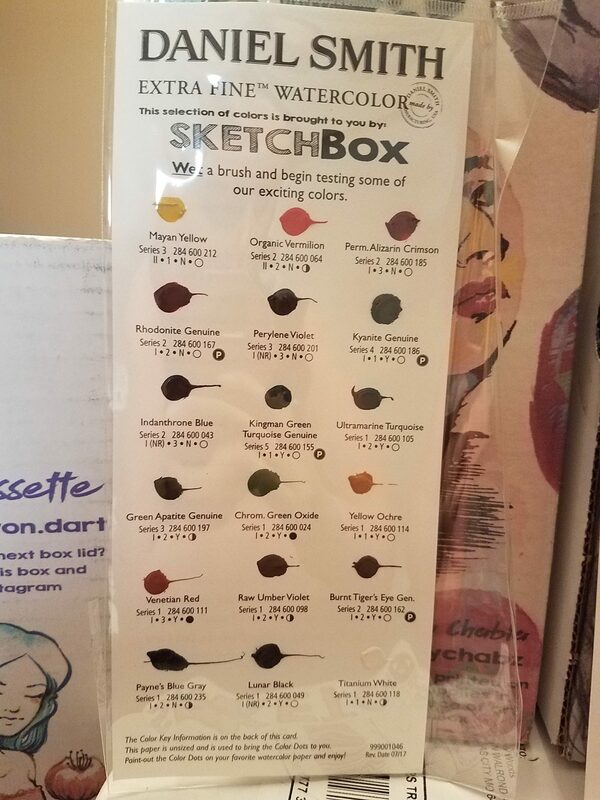 This custom palette allows you to test a curated range of their colors for your new watercolor piece. This fineliner is from one of our favorite brands. Since the ink is waterproof, its perfect for adding detail or line work to your new watercolor work. All in all, this box introduces me to a lot of products I haven’t used before but they are definitely products that I am eager to use. If you would like to get your hands on this sketchbox, or any in the future, please use this link so that I can get a credit to use towards next month’s box. I love being able to bring these unboxings to you from me.